Watershed is the land which rain and melted snow flow over to a body of water. As water flows over the land it picks up dirt, fertilizer and animal waste carrying it to the nearest waterway. What we do to the land we do to the water. Everyone needs to understand the effect they have on water quality especially those living in the watershed. Growing public awareness and concern for controlling water pollution led to enactment of the Federal Water Pollution Control Act Amendments of 1972. As amended in 1977, this law became commonly known as the Clean Water Act. 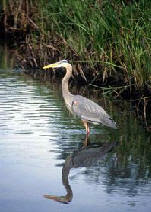 The Act established the basic structure for regulating discharges of pollutants into the waters of the United States. ​In 1986 the Blackstone River was one of 14 rivers across the country to be designated a National Heritage Corridor, and was the beginning of the formation of a partnership between the National Park Service and local organizations striving to bring about change and revitalization of the river and the aquatic and wildlife that depends on this river for its survival. Prior to the settlement of European colonists, the Blackstone Valley was home to the Nipmuc Native American tribes. Archaeological records show this tribe dating back possibly as far as 15,000 to 20,000 years. The Nipmuc tribes thrived on the plentiful food in and along the tributaries of the Blackstone River and often used the river as a means of transportation. In 1635 European settler, William Blackstone established the first English settlement in Rhode Island and began to transform the Blackstone Valley into a series of villages and water powered grist mills located along the Blackstone River. In 1793 Samuel Slater opened Slater Mill, the first mechanical cotton mill in the united states. The establishment of this mill firmly placed the Blackstone Valley in the history books as being known as the birthplace of the American Industrial Revolution. By the mid 1830's there was approximately one dam for every mile of the rive along the main stem and larger tributaries. The intense industrial usage of the Blackstone left a legacy of pollution in its wake. Manufacturing companies and industrial factories discharged dyes, heavy metals and varnishes and paints. Indeed, it was often remarked that you could tell what color the textile factories were using that day by the color of the river! By the early 1900's the upper Blackstone River in Massachusetts was so polluted that a representative from the Massachusetts Department of Health stated, "The Department finds that the condition of the Blackstone River is offensive throughout its course, from Worcester to the state line at Blackstone. The condition of the stream is likely to grow worse until effective measures are completed for removing from the river much of the pollution which it now receives." These pollutants continue to influence water quality and the overall health of the Blackstone River's ecosystem even today. In 1972, growing public awareness and concern for controlling water pollution led to the enactment of the Federal Water Pollution Control Act, which became commonly known as the Clean Water Act. The passing of this act helped to achieve the broader goal of restoring water bodies across the country so that they might support " the protection and propagation of fish, shellfish and wildlife and recreation in and on the water". Known as the birth place of the American industrial revolution, the Blackstone River originates in the city of Worcester in central Massachusetts. The river flows approximately forty eight miles before joining up with the Seekonk River just prior to entering the Narragansett Bay. The Blackstone River encompasses a drainage area of 540 square miles and drops approximately 480 feet in elevation from the headwaters source in Worcester to the Narragansett Bay.